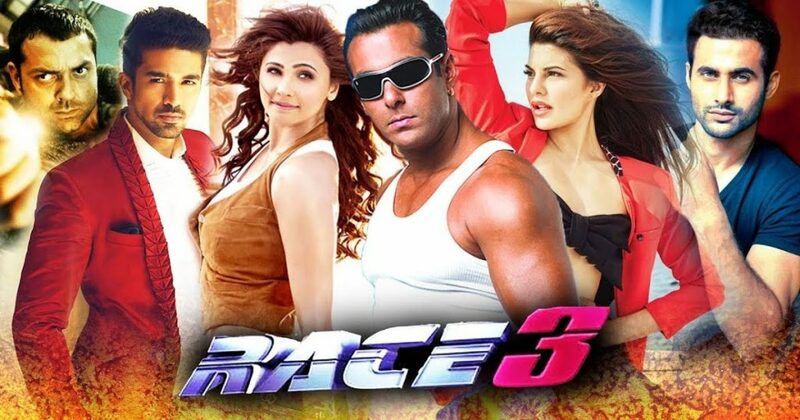 Salman Khan’s Race 3 has hit the cinemas: After 10 years Race 3 had rocked Indian cinema on its opening day. Our being human and superstar of Bollywood cinema Salman Khan has got a glorious Edi on the sacred occasion of Eid as his film ‘Race 3’,a film of drama, action and thriller which was released yesterday on the great occasion of Eid’s eve had collected a total of Rs 29.17 crore on its opening day and has been counted in blockbuster movie at box office. Same like Salaman’s all films this movie is also going in a right way and it will too get a great fame and success soon. This movie has also become Third film in the series come loaded with great superstars as its cast. It is rocking in Indian Cinema with a great zest and fans are liking it and are giving their reviews. This film has a collection of superstars and it can be compared as a milkiway galaxy. Ramesh S Taurani & Salman Khan. The film’s language is Hindi and production companies are- Salman Khan Films & Tips Films. The film ‘Race 3’ was made in a heavy budget of Rs 150 crore from which Rs 120 crore is Production cost while Rs 30 crore is publicity and print cost. According to predictions which were done before its release reveals that this film would cross Rs 500 crore worldwide with the total of Rs 700 crore. Salman Khan and the whole team worked hard to make this film blockbuster at Boxoffice. During the time of promotion they kept it on and finally yesterday the film was released and positive results have come. It is a great gift for Salman Khan and the whole team on the occasion of Eid..
Remo D’souza was expecting to earn 30 crores on its opening day and it has fulfilled his expectations. According to reports and surveys, it has been found that fans and audiences are full of zest for this movie and they started pre-booking in cinema halls. As we know that its pre-bookings were going on with a great interest and zeal and finally the result has come and it has founded that on its opening day this movie had collected Rs. 29.17 crore. expected to post MASSIVE NUMBERS. We are also clearing you that The record for the highest opening film of this year goes to Disney and Marvel’s Avengers: Infinity War as they collected Rs 31.3 crore at opening day and Race 3 has failed to Compete the Marvel tentpole superhero film. Will this movie be hit or flop? Will it come on fans desire? And will the team of ‘Race 3 ‘ be satisfied with its collection?